Russian-supported offensive by the Syrian army and its militia backed by the Quds Force and IRGC troops, the Hezbollah and other foreign Shia fighters began on Friday to retake territory around Aleppo, Syria’s largest city, Reuters reported. Hezbollah’s Al-Manar TV said the army captured the village of Huwaija on the way to Kweires. The Observatory said intense fighting in Huwaija and several other villages nearby is taking place. Meanwhile, the pro-government coalition continues countering rebel forces in provinces of Hama, Idlib, Latakia and areas north of Homs City. 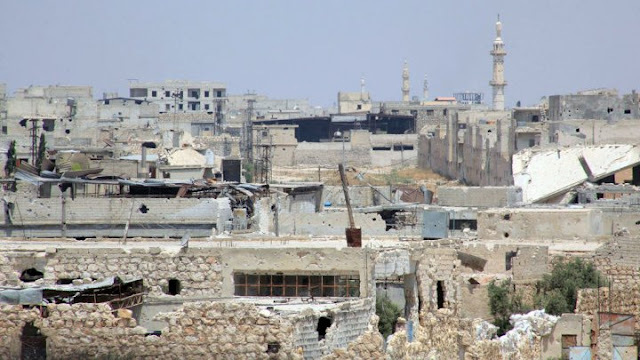 The Observatory reported heavy Russian bombardment around Homs City. The Observatory said 72 people, including 31 women and children, were killed in the past 48 hours in the assault in Homs.